Strengthening Democracy Awards celebrates Nebraskans of all ages who embody Civic Nebraska's mission of a modern, robust democracy. Civic Nebraska was founded on the idea that a strong democracy does not build itself — it takes dedicated Nebraskans working together to build an engaged and informed society. Join us May 2, 2019, in Lincoln as we celebrate and recognize Nebraskans of all ages who embody our mission. Strengthening Democracy Awards 2019 will be 5 to 7 p.m. May 2 at the DelRay Ballroom, 817 R St., in Lincoln. 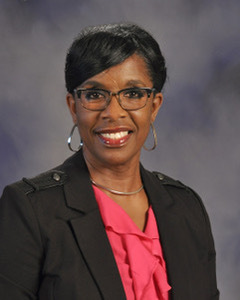 In addition to getting a chance to meet and learn about fellow Nebraskans who work daily to improve our state’s civic life, we’ll also hear from Vann Price, Lincoln Public Schools’ supervisor of Secondary Personnel Services, as our keynote speaker. Since 2018, Price has recruited and placed secondary teacher transfers, provided support service including promotions and counseling, the district’s Leadership Development Program, summer school staffing, and other assignments for Lincoln Public Schools. Price also served at Lincoln North Star High School since its opening in 2002 — first as associate principal and, from 2011-18, as the Navigators’ principal. A 29-year veteran of Lincoln Public Schools, Price also has taught at Campbell and Humann elementary schools. You can get tickets to Civic Nebraska’s annual signature event today. And, if you know of a Nebraskan who is deserving of a Strengthening Democracy Award, you can nominate them here. We will be collecting nominations until April 5. May 2, 2019 | 5 to 7 p.m.